I know before I was a mom myself, I never knew what to give people for a baby shower! 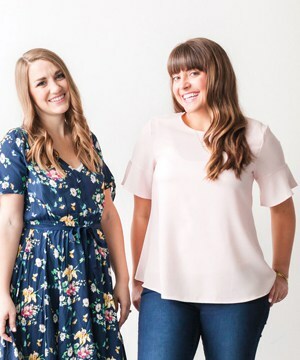 I tend toward giving practical gifts, but when you aren’t in the throes of mothering babies or young children you may not feel like you know what the best new mom items are. Never fear! 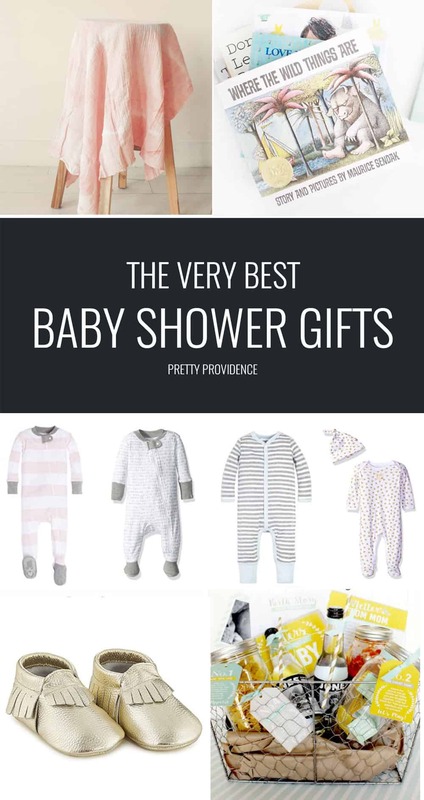 Today I am sharing all of my best ideas for baby shower gifts – from gift baskets to books, cute accessories and the majorly practical must-have items, I am sure you will love these ideas! 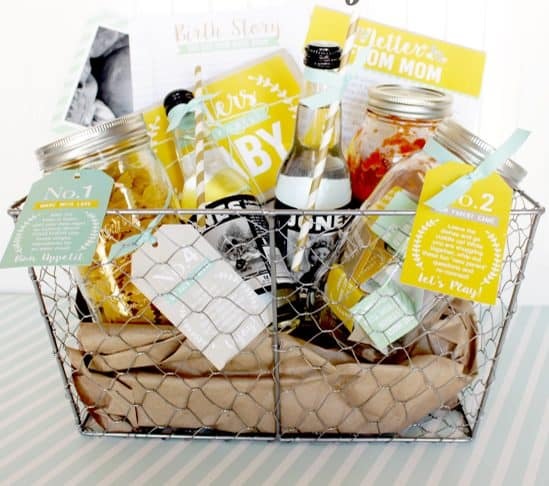 This cozy, new parents date night gift basket from The Dating Divas is SUCH a good idea! New parents could always use an easy way to reconnect – so adding dinner, treats and some fun ways to change it up from the usual netflix binge will definitely be appreciated! This laundry themed gift basket idea from The Inspired Hive is so cute – and practical! A diaper gift basket – full of diapers, wipes and other changing supplies is perfect and so practical! For this, I like to choose a cute basket that they won’t mind keeping out in the living room. Taking something simple like a beverage carrier and decorating it is SUCH a creative way to make a gift basket! Love this idea from Positively Splendid. Any mom-to-be would love this Slippers Gift Idea. Fill the slippers with an Amazon gift card and some of her favorite treats – she’ll love you forever! This little newborn essentials basket from Busy Creating Memories is SO practical! I love it. The Rock n’ Play Sleeper is a MUST. It’s one of the things that I (along with countless others) feel passionate about. Give a mama one of these, and she will be thanking you for years to come! Gold baby moccasins are my favorite baby accessories of all time! They match everything, and the soft soles are great for babies learning to walk. So yes, I’m calling these ‘essential.’ Pro tip – get them in 6-12 month size so they can learn to crawl and walk in them! 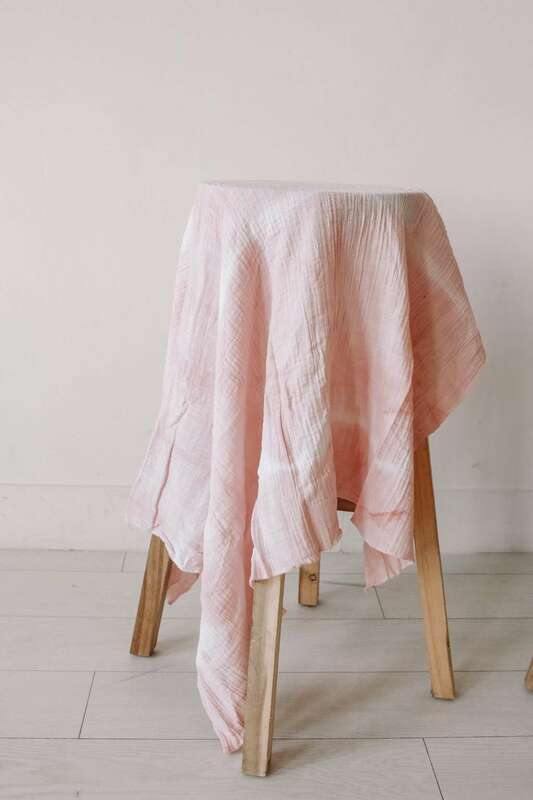 Swaddles are a MUST and these natural dyed muslin swaddles are my favorite. They are big and beautiful and hand-dyed with things like indigo & avocado. No one else will give a gift this good! Love this Zarbees Naturals newborn essentials set. It’s best to have that stuff on hand before you need it! I am a noise machine advocate. My babies have always slept better with one, and what better gift than the gift of more SLEEP!? This Wave Baby noise machine is both functional and good looking and fits easily on a shelf. Score! This Love to Dream zip-up swaddle is amazing for when baby starts to break out of traditional swaddles! 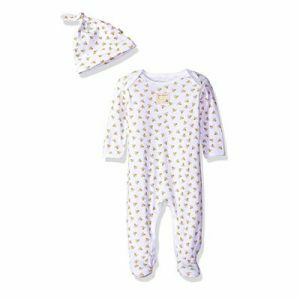 Burt’s Bees pajamas are SO SOFT and the patterns are cute, modern and minimal. You will wish you had a pair of these for yourself! This ‘Avenge Dobby’ baby onesie is amazing. These Harry Potter Inspired Herbology and Magical Creatures prints are gorgeous. Perfect for a nursery! I love this Where the Wild Things Are baby onesie. Okay, one more onesie. “Do you even read, bro?” HAHAHA. I love it so much. Books are one of my favorite gifts to give, and I wrote up an entire blog post with all my faves. 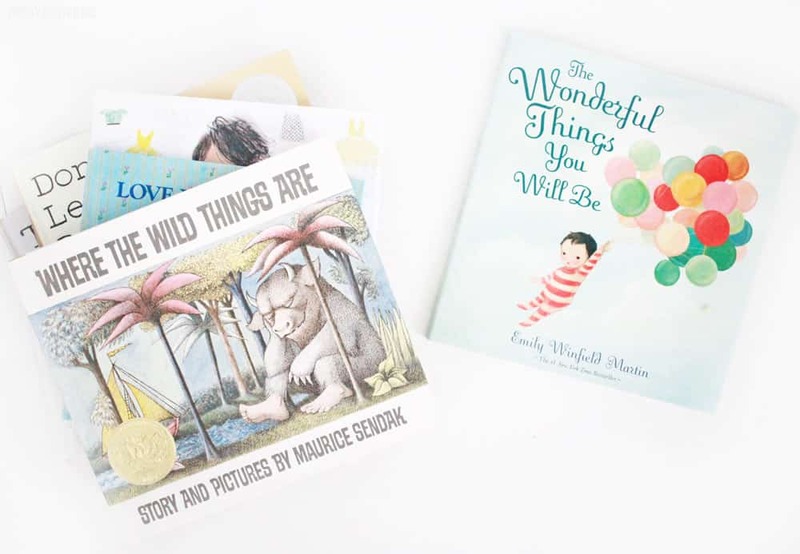 Click here to see what I think are the BEST books to give as gifts at a baby shower! Have you ever given any of these things as baby shower gifts? Classy Diaper Cake – there is a video tutorial!